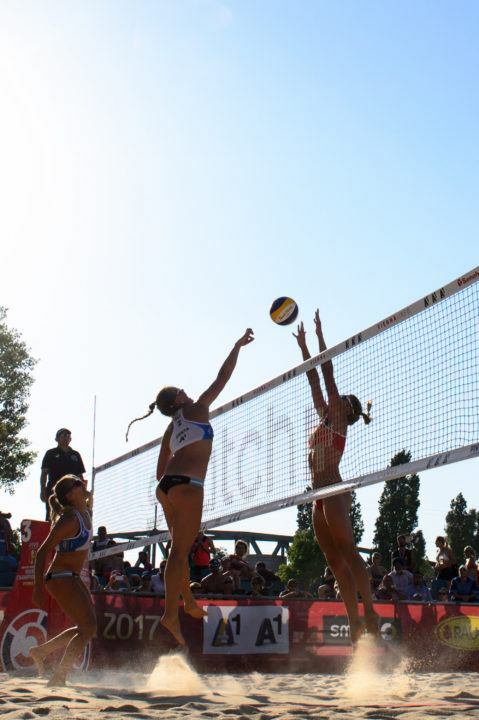 The USA National Beach Tour has announced the 15 Beach National Qualifiers (BNQs) that will qualify pairings for the Championships that will take place in Siesta Key, Florida from July 19-24. The tour serves as the officially sanctioned beach tour of USA Volleyball and is expected to bring in more than 400 boys’ and girls’ teams ranging from 10-18 from around the country. The qualifiers are set to begin on March 3 and run through July 8. Each BNQ will award National Open Division bids to nationals in 4 age groups – 12U, 14U, 16U and 18 U – in both genders. From there, the top 4 pairs from each division will earn a spot in the championships. Teams are able to play in multiple qualifiers to increase their chances of earning a bid. A pairing that qualifies at a national qualifier does not have to compete together come time for the championships, as long as one of the players is still competing. If a team does not qualify at an event, a duo will have the opportunity to pay their way in to play at the Patriot Division, much like in indoor club volleyball. The 12U and 16U divisions will compete from July 19-21 while the 14U and 18U teams will play from July 22-24. Additionally, USAV will be hosting 7 Beach High Performance Selection Camps across the country from March to May, with the events being held in conjunction with the Beach National Qualifier Schedule.